Motorola officially announced its fondleslab followups today, launching the anticipated Xoom 2 and a smaller sibling, the Xoom 2 Media Edition. 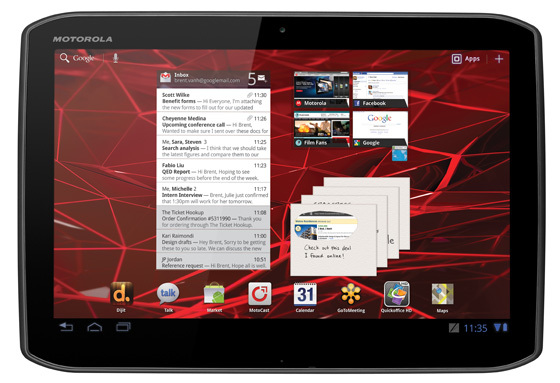 The Motorola Xoom 2 boasts a 10.1in display made from super-tough Corning Gorilla glass. It sports a 1.2GHz dual-core Texas Instruments OMAP 4430 processor running Android 3.2 Honeycomb and comes with 1GB Ram and 16GB storage, as well as 5Mp rear-facing and 1.3Mp front-facing cameras. The Wi-Fi only device is a 100g lighter than its predecessor at 599g, with a brighter display and a "more comfortable" design thanks to specially flattened edges. 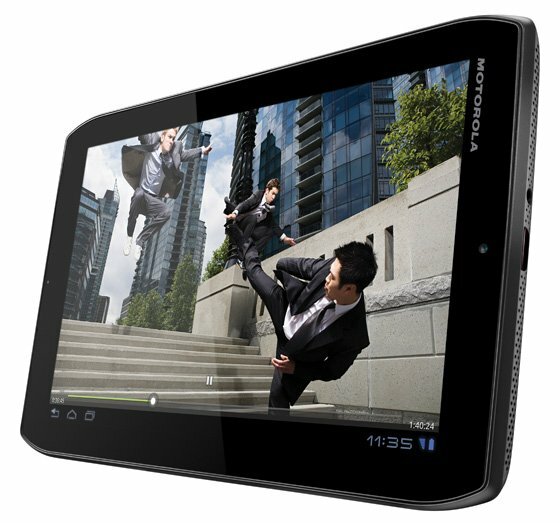 The smaller 8.2in - the Motorola Xoom 2 Media Edition - packs the same specifications under the hood, apart from a smaller battery, but weighs even less at 386g. The display, also made from rugged Gorilla glass, has been optimised for wide 178-degrees viewing angles. Both rock up with the company's latest media-streaming feature, MotoCast, as well as easy access to Google's Mobile services.